Over the past couple of weeks, we have talked about the Market Street Prototyping Festival and the way it has influenced and evolved how we can think about change in our cities. While we started locally in San Francisco, we aspired to evoke an adaptable model for creative citizen engagement that could ignite people-driven change everywhere. Inspired by Gray Area Foundation for the Arts and the Urban Prototyping Festival, we are now seeing versions of this work taking place not only in neighborhoods across San Francisco but all over the United States and in other parts of the world. 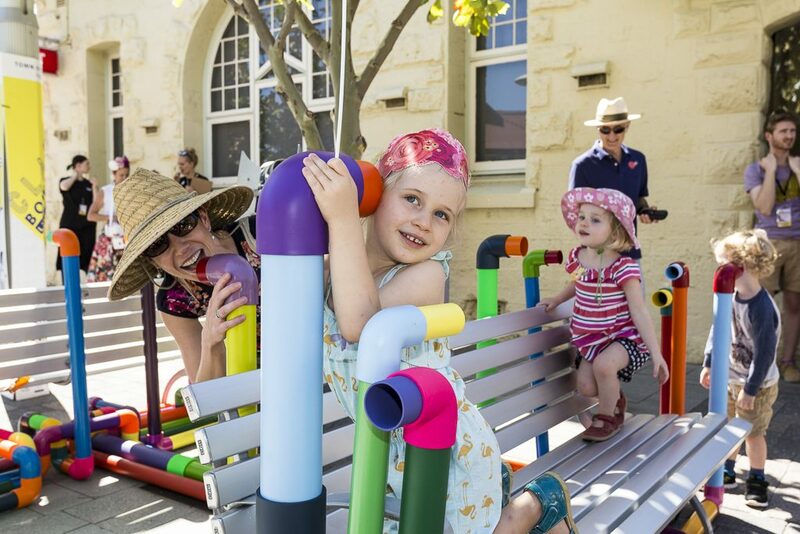 In April of this year, a Perth-based organization called Form launched Western Australia’s first ever prototyping festival. 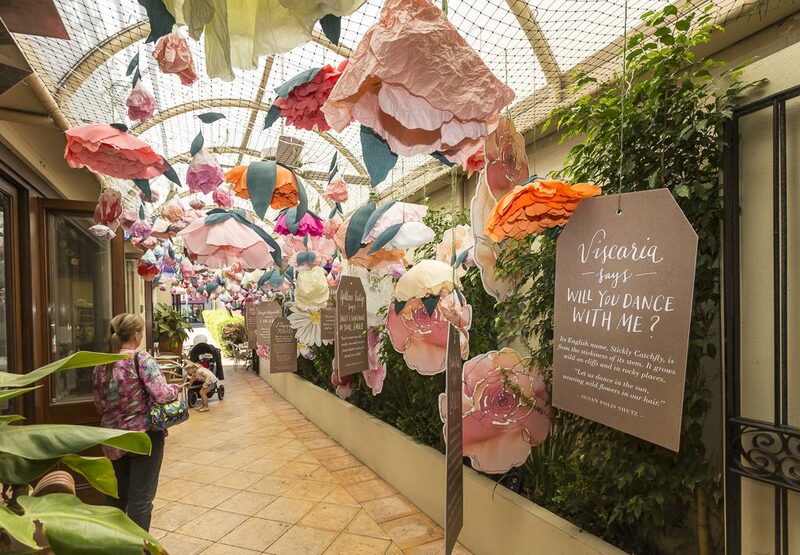 This ambitious project, Public Platform, was directly inspired by and adapted from our Market Street Prototyping Festival and featured installations by more than 20 creative citizens that reimagined the busy Claremont Town Centre. Public Platform, which launched a multi-week celebration of urban art, creativity, and activation, took place over two days and included a $20,000 Judges’ Choice Award, a People’s Choice Award of $5,000, and a public symposium featuring speakers from the U.S., Japan, and New Zealand. Recently, the Mesa Art Center was awarded a grant from the National Endowment for the Arts’ Our Town program (also a funder of the Market Street Prototyping Festival) to support the Downtown Lab (D-Lab) Project. Mesa Art Center’s Executive Director Cindy Ornstein visited the 2015 Market Street Prototyping Festival in San Francisco and was moved to apply this methodology to her local context to encourage new ideas for activating downtown Mesa, Arizona. The D-Lab Project will undertake an Open Call for art and design based projects from the community and will feature winning projects in the first D-Lab Festival taking place at the Mesa Arts Center in the Fall of 2017. People who participate in the festival can vote on the projects that they would like to see developed for their downtown. The River Balcony Prototyping Festival – in Saint Paul, Minnesota – focuses on creating a more engaging and vibrant riverfront experience. 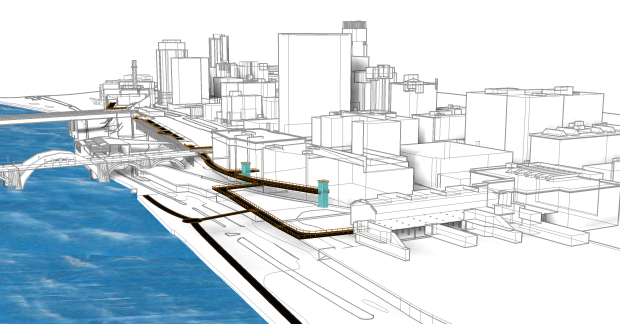 Again, directly inspired by the Market Street Prototyping Festival, this call for citizen-driven ideas focuses on the River Balcony which is a 1.5-mile public pathway planned for downtown Saint Paul that will link key development sites with restaurants, offices, shops, and open spaces that will overlook the river, and will accommodate walking, outdoors seating, gathering, and public activities. The Festival offers creative citizens with the opportunity to contribute their best ideas to their changing civic and public space as it is happening. These are just a few examples of countless projects inspired by the collaboration between Yerba Buena Center for the Arts and the San Francisco Planning Department that focus on engaging people of all kinds in shaping the future of their cities. With much gratitude for early funding from the Knight Foundation followed by grants and sponsorships from ArtPlace America, the National Endowment for the Arts, The James Irvine Foundation, the San Francisco Arts Commission, San Francisco Department of the Environment, Dolby, Autodesk and more, we started with a question about Market Street in San Francisco and have launched a new platform that can be easily applied in contexts and communities all over the world.